Independent developer Deconstructeam and pottery enthusiasts Devolver Digital have announced cyberpunk point and click thriller, The Red Strings Club, will arrive for Nintendo Switch on March 15. 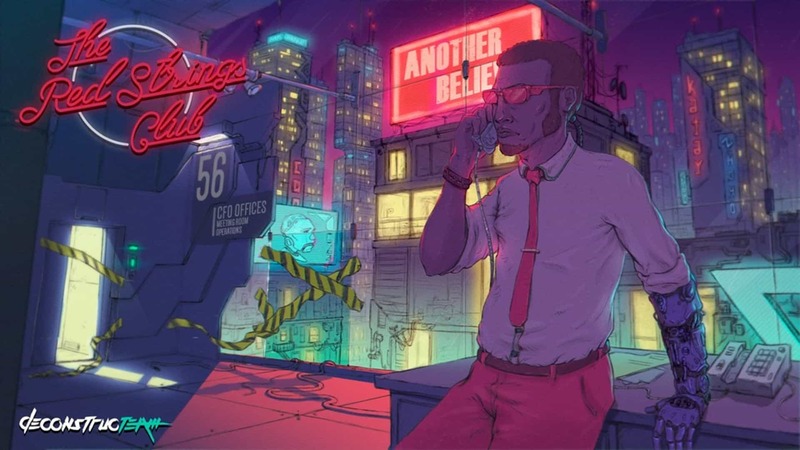 The Red Strings Club is a cyberpunk narrative experience about fate and happiness featuring the extensive use of pottery, bartending and impersonating people on the phone to take down a corporate conspiracy. The professed altruistic corporation Supercontinent Ltd is on the verge of releasing Social Psyche Welfare: a system that will eliminate depression, anger and fear from society. However, the bartender of a clandestine club and a freelance hacker don’t regard this evolution as an improvement but as brainwashing. Alongside unwitting company employees and a rogue empathy android, the duo will pull all the strings they can to bring down this scheme.